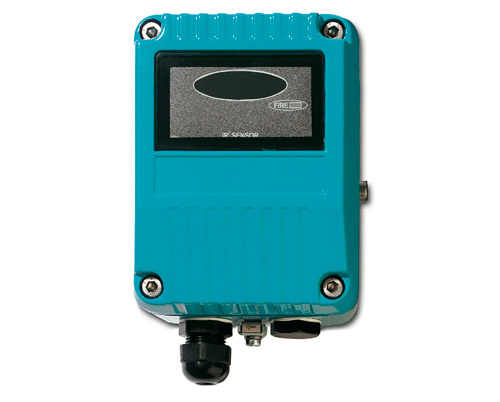 IR³ flame detector with fire-resistant cover. Highly sensitive micro-processor which allows it to operate through smoke, oil, dust or water vapour. Sensitivity adjustable according to the EN54-10. Supply voltage 14 – 30 VDC . Current supplied 3/9, 4/8/14, 4-20, 8-20 mA . Responds to a wave length ranging from 0.75 to 2.7μm emitted by all type of fire. Operation temperature -10°C to 55°C, Storage temperature -20°C to 65°C.